I thought it appropriate to wait until this first week of fall to post about this coin. Recently released by the Royal Canadian Mint (and 98% sold as of this writing), this coin is the fourth and final one in the series, which began in the spring of 2013. The inspiration for this design featuring three silver maple trees came from a walk through the Guelph Arboretum, home to many silver maples. Like the first coin in the series, it is hard to appreciate this coin from a photo. In the image above the background looks black but in reality it is brilliant silver, and it sparkles in contrast to the painted foliage. 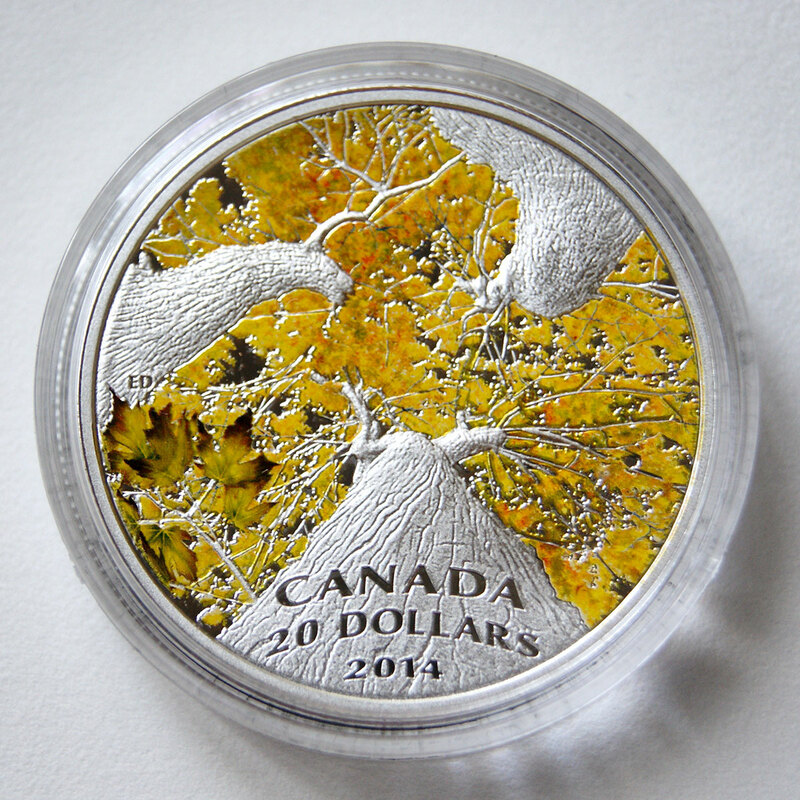 The image of the coin at the RCM’s website shows the background better, but I don’t feel as though it accurately represents the color of the leaves. Emily, this is absolutely gorgeous, even if the photos aren’t doing it justice!Brilliant. Thank you, Amelia, Karen, and Karen!